12 oz. ceramic mug features John, Paul, George and Ringo from "Sgt. Pepper's Lonely Hearts Club Band" album art. Image appears on both front and back of the mug. Packaged in "Sgt Pepper's" themed box with open front for displaying. 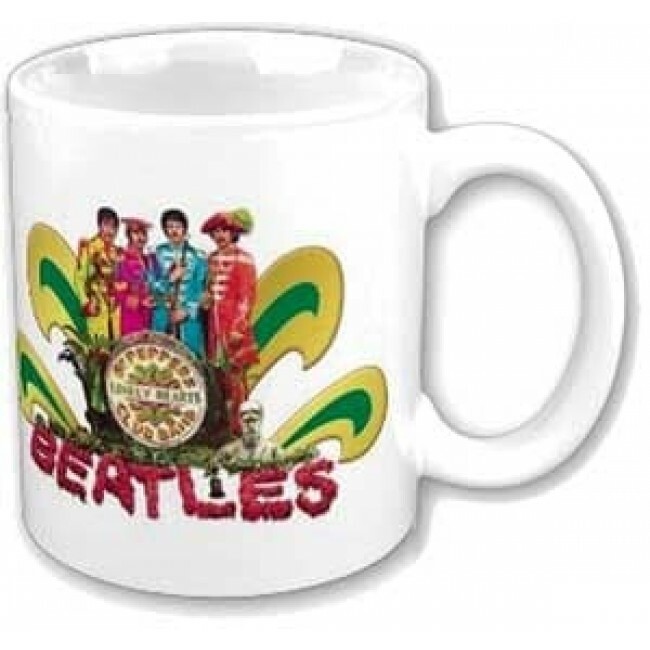 Use as your daily morning mug or add to your growing Beatles collection. Official The Beatles product.